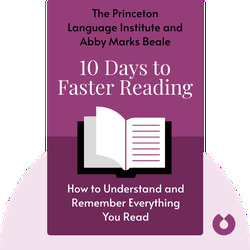 10 Days to Faster Reading (2001) sets out to help you get through your ever-growing pile of must-read books. By breaking down the mindsets and bad habits that inhibit effective reading and replacing them with highly efficient reading techniques, you’ll be reading faster and retaining more than ever before. 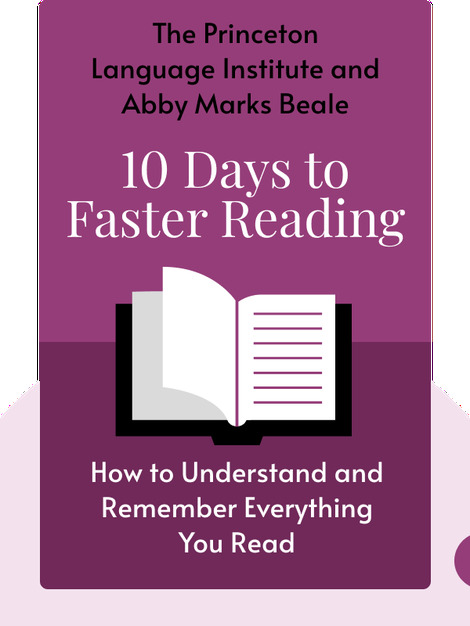 Abby Marks Beale is founder of the corporate training organization The Corporate Educator, author of Success Skills: Strategies for Study and Lifelong Learning and creator of Rev It Up Reading, a program that helps people hone their speed-reading skills.